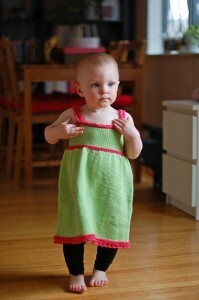 Hunter recently had the chance to model a most adorable dress for Kynna, the Elsie Sundress by Jane Richmond! 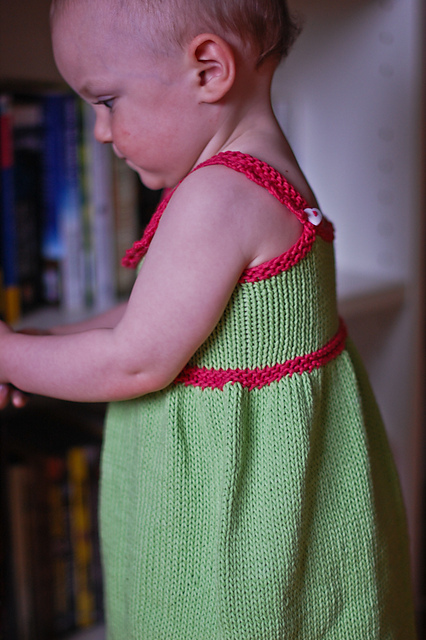 Kynna hummed and hawed about the yarn for ages. 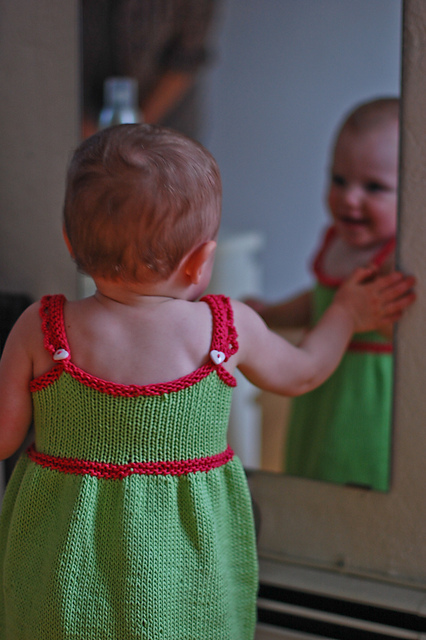 She knew she wanted a cotton and she knew she needed a DK weight yarn(double knitting or 22 stitches per 4 inches). She perused the shop but in the end the colours she loved were in the Blue Sky Alpacas Skinny Cotton. I love the watermelon-esque colour combo and the little button details on the back. Hunter looked so cute, I think she needs one of her own! This entry was posted on Tuesday, May 8th, 2012 at 10:52 am	and is filed under Uncategorized. You can follow any responses to this entry through the RSS 2.0 feed. Both comments and pings are currently closed.